I have been asked to re-release this album for quite a while. Originally it formed part of the Inspired by Nature collection - and while I did re-perform two tracks from it for Whispering Sea, it seems that many listeners really enjoy the original. So here it is. New artwork and completely remastered. Seashore Sunrise acheived Platinum album sales within six months of it's release. 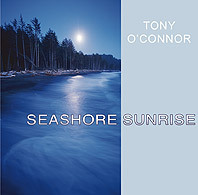 This is a very gentle and relaxing album, featuring soft ocean sounds between the tracks. Again a very popular title and one of my personal favourites. GMT+8, 2019-4-23 19:03, Processed in 0.026034 second(s), 6 queries.